I’ve read so many books that have been centered on or featured the island of Nantucket that I almost feel like I know what it’s like to live there. Well, not really but with a book and my imagination, I’ve come to love a place I’ve never traveled to – until now. Taking the high speed ferry from Hyannis, we were transported to the island in about an hour. Parking was not too difficult to find, although it came with a cost and a short shuttle ride to the dock. The boat was fast, so stepping outside for a view can make your hair look like the bride of Frankenstein. Once off the boat, you’re in the “downtown” area that’s filled with tourists, shops and wonderful smells of food. Our first stop was the whaling museum, where we were able to touch a whale’s tooth (huge! ), touch the baleen from a whale and learn about items made with whale parts. 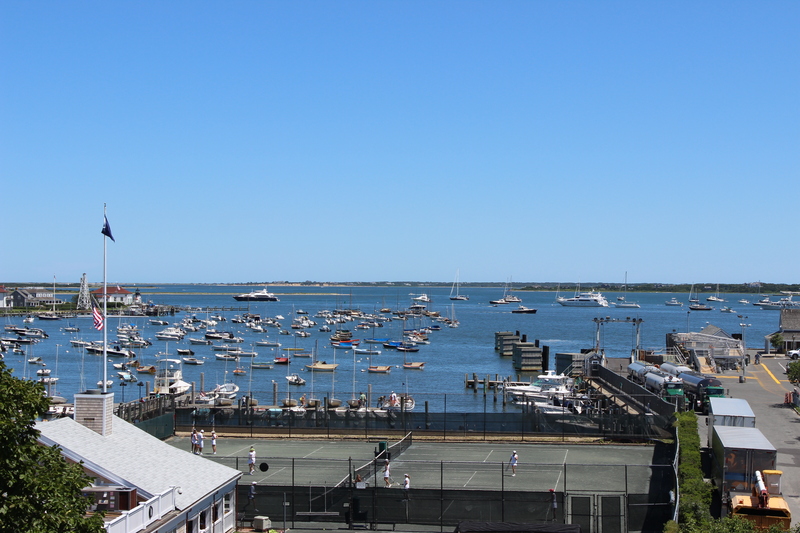 The museum also has a rooftop deck to give you and overview of the harbor – a perfect photo opportunity. We stopped briefly at Children’s Beach, very close to the ferry dock but on the small side for a beach. We decided to rent bikes and headed out with our map to Dionis Beach. A good 3 ½ miles later, we arrived hot, sweaty and ready to jump in the water. A short path through the dunes and we entered the beach, which was not crowded but had a good amount of sunbathers. Bikes are somewhat expensive to rent so get them early and get good use out of them. 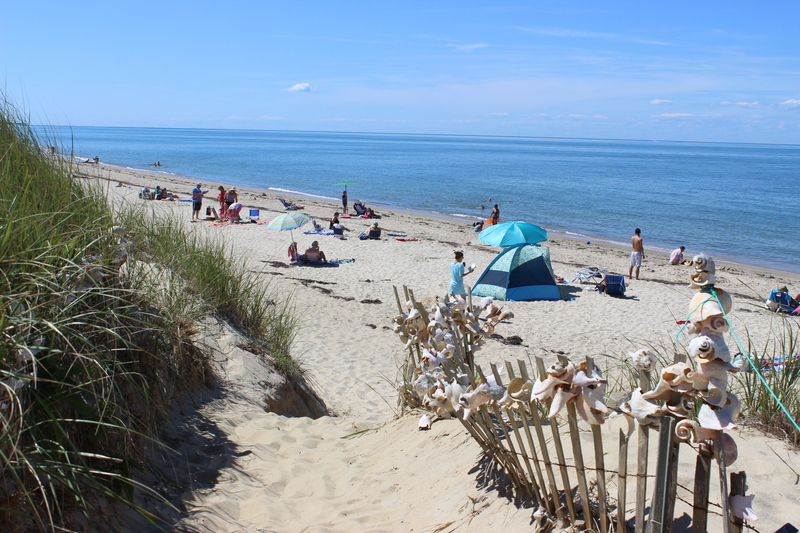 If we had more time or stayed the night, we would’ve headed to Sconset, but instead took a shorter route to a closer beach. After cooling off and playing for a while, we biked back, returned our bikes and went in search of food. After fueling up, it was time to get in line for the ferry back to Hyannis. It was a quick trip. If you’re up for a day on the island, take the early morning ferry and the late evening ferry to get the most out of your day. If we had more time, the island aquarium was on our list to check out (and is working on an expansion). The views and storied beaches did not disappoint, and now when I read a book about Nantucket, I’ll be transported back to my island getaway. Disclosure: Family trip, no compensation received. These opinions are my own.